A beautiful new mural covers the side of a three-story building on Quincy Street in Grove Hall. It’s powerful and moving and was created by Cambridge artist Victor “MARKA27” Quiñonez. It’s the final mural in a series of five funded by the city of Boston. WBUR has a great article about this mural here! 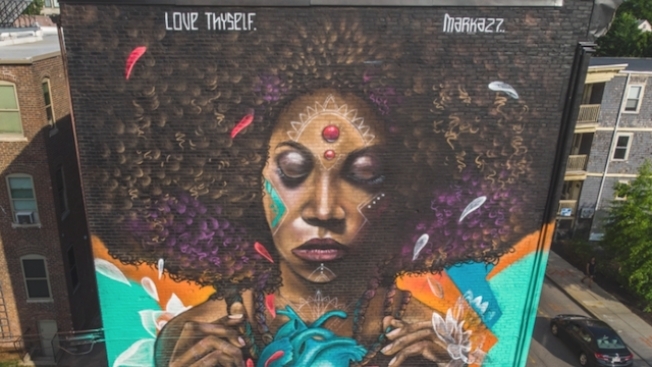 We encourage to check out all of these amazing public art murals in the neighborhood! The post Love Thyself: New Mural in Dot appeared first on Caught In Dot.